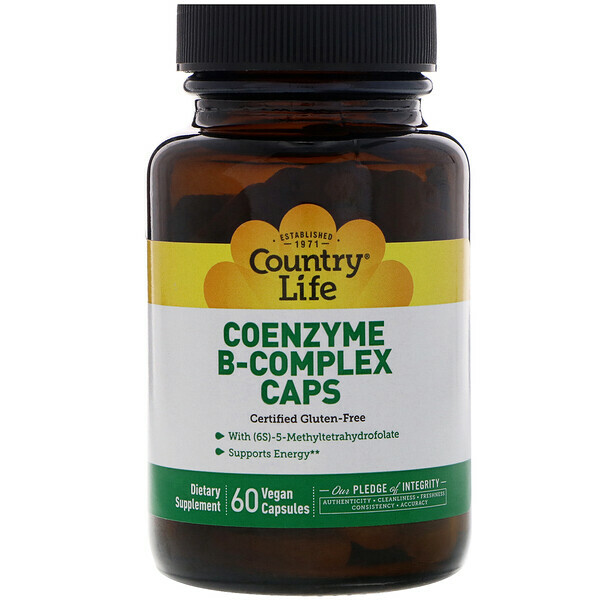 Coenzyme B-Complex contains essential B vitamins in its active, "coenzymated" form. This complex that you've known and loved for over 15 years includes Methylfolate (Quatrefolic) - the most advanced form currently available. And as always, you don't need to worry about the typical Vitamin B taste or odor. 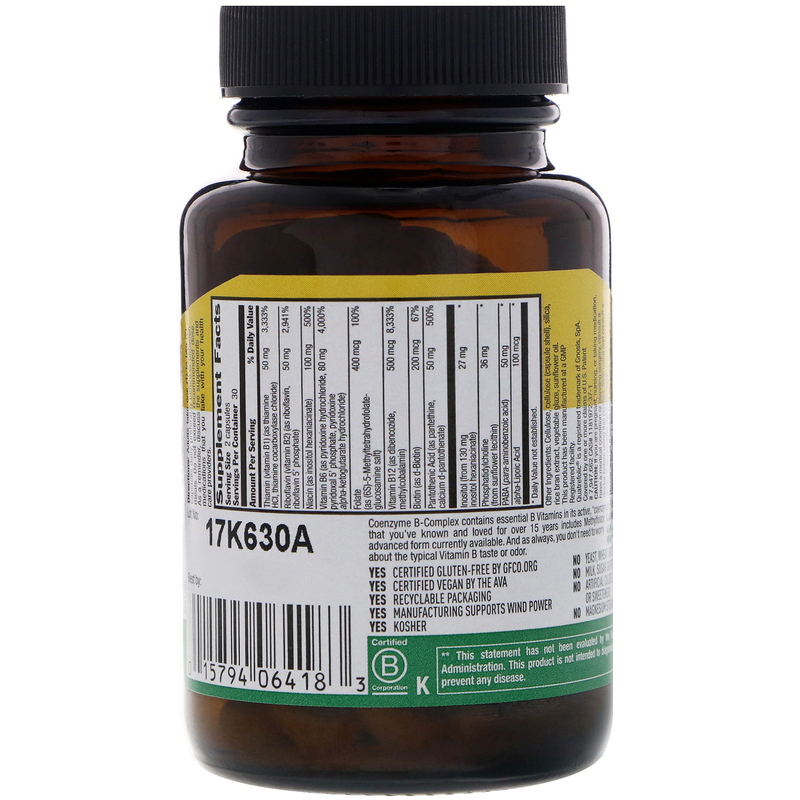 Adults take one (1) to two (2) capsules daily, preferably before or between meals. Do not exceed recommended dose. As a reminder discuss the supplements and medications that you take with your health care providers. Cellulose, cellulose (capsule shell), silica, rice bran extract, vegetable glaze, sunflower oil. Yes Certified gluten-free by GFCO.org. Yes Certified vegan by the AVA. Yes Manufacturing supports wind power. No Yeast, wheat or soy. No Milk, sugar or preservatives. Caution: If you are pregnant, nursing, or taking medication, have a medical condition or planning surgery, consult a doctor before using this product. Stop using and consult a doctor if any adverse reactions occur. Do not accept if seal is broken. Store in a dry place between 59°-86°F. Keep out of the reach of children.